Who loves the Incredibles 2? 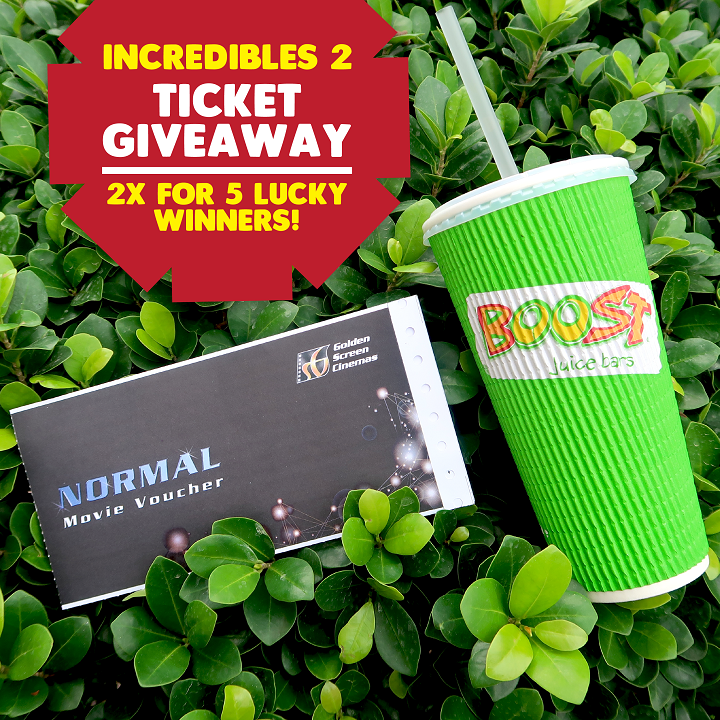 This time Boost Juice Bars is giving a giveaway of 2 GSC Incredibles 2 movie tickets for 5 winners! Boosties, grab this chance!